The four-course dinner at Le Virtù benefited local sanctuary families. 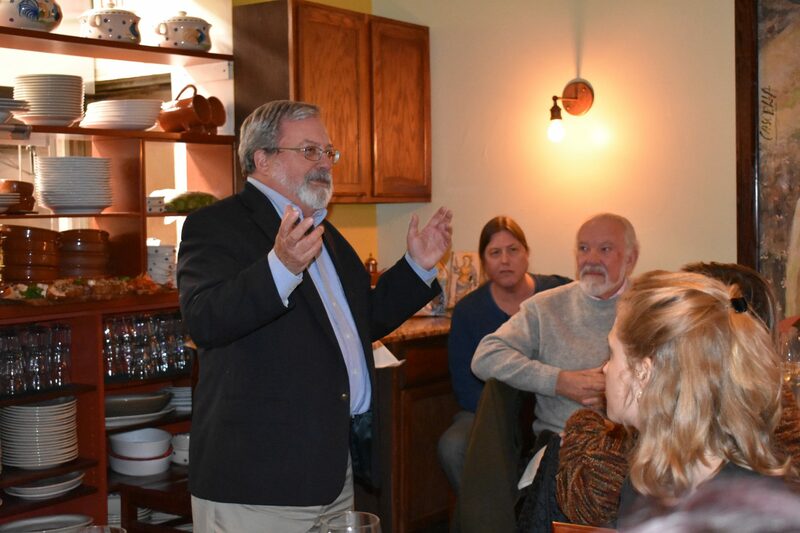 Last Thursday, Le Virtù restaurant hosted a “Pasta with a Purpose” dinner last Thursday in partnership with the New Sanctuary Movement and the First United Methodist Church of Germantown (FUMCOG.) Above: Musician and Abruzzo native Antonello DiMatteo plays the zampogna, or Italian bagpipes, for the crowds. While patrons of East Passyunk’s revered Le Virtù, 1927 E. Passyunk Ave., tasted traditional dishes such as Antipasti e affetati and Stinco d’agnello last week, a special bread pudding was also passed around. Although slightly less accustomed to the menu, the dessert was a sellout. But the pudding, prepared by a 16-year-old daughter of immigrants, satisfied more than taste buds, as it concurrently benefitted local families living in sanctuary. Continuing its series of immigrant advocacy, the South Philadelphia Abruzzo restaurant hosted a “Pasta with a Purpose” dinner last Thursday in partnership with the New Sanctuary Movement of Philadelphia and the First United Methodist Church of Germantown. The collaboration event raised proceeds for sanctuary individuals living in and around Philadelphia, including the Thompson and Reyes families, who are currently residing at FUMCOG with support from the New Sanctuary Movement of Philadelphia, a North Philly-based organization supporting the ethical and legal justices of immigrants. Fostering his own stances, Cratil-Cretarola, who is a third-generation Italian-American, often draws parallels between discrimination his grandfather experienced after moving to the United States from Abruzzo in 1909 and the treatment of immigrants settling into Philadelphia today. Like his grandfather, the Thompson and Reyes families are enduring the realities of relocating to a new nation. In August 2018, both families took sanctuary in the Germantown church. According to the New Sanctuary Movement, the Thompsons sought asylum in the United States after fleeing gang violence in Jamaica 15 years ago, but up until this past August, the family’s appeal was denied, leading parents Oneita and Clive Thompson, along with their five children, to seek shelter with FUMCOG. Although, due to their current status, Oneita and Clive could not attend the dinner, one of their daughters, Christine, graced the restaurant with her presence – and even prepared the popular bread pudding. FUMCOG is recognized by the Methodist community as a “reconciling congregation,” as Coombe says his parish opposes restrictive and prejudice language against marginalized people, such as the LGBTQ community. The Germantown church has actually been considered a sanctuary congregation since 1984 when the organization welcomed a Guatemalan family fleeing persecution, according to Coombe. Since then, the church has worked to defy all forms of discrimination and injustices, partnering with organizations holding similar beliefs. FUMCOG is one of the dozens of interfaith member congregations endorsed by the New Sanctuary Movement of Philadelphia. The organization, which was founded in 2008 as crackdowns by the U.S. Immigration and Customs Enforcement increased, “builds community across faith, ethnicity and class in (its) work to end injustices against immigrants regardless of immigration status, express radical welcome for all, and ensure that the values of dignity, justice and hospitality are lived out in practice and upheld in policy,” according to its website. Their scope of service, which includes assisting immigrants with immigrant, traffic and family court, strives to provide safe sanctuary. In late summer 2018, the organization reached out to FUMCOG to shelter the families. 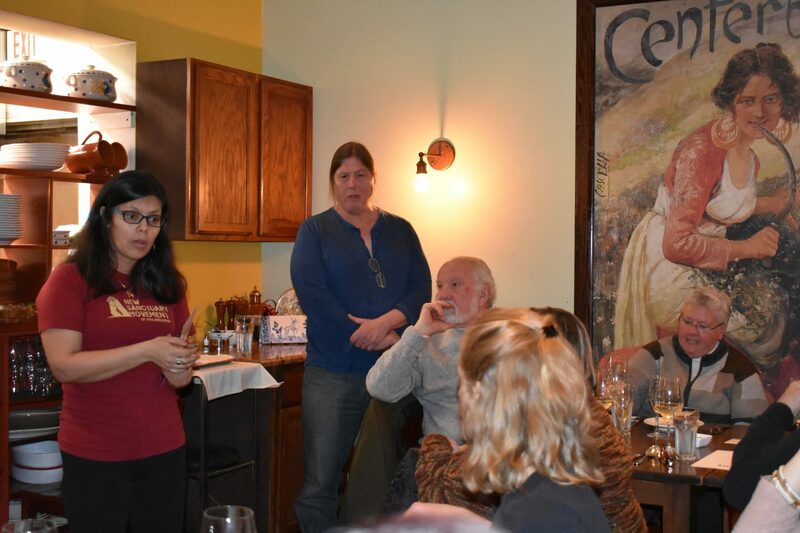 About a month ago, Cratil-Cretarola visited the families in Germantown, alongside Ben Miller and Cristina Martinez of the acclaimed South Philly Barbacoa, where the Le Virtù owner felt compelled to assist the folks as they struggle with finances both in the United States and in their native countries. 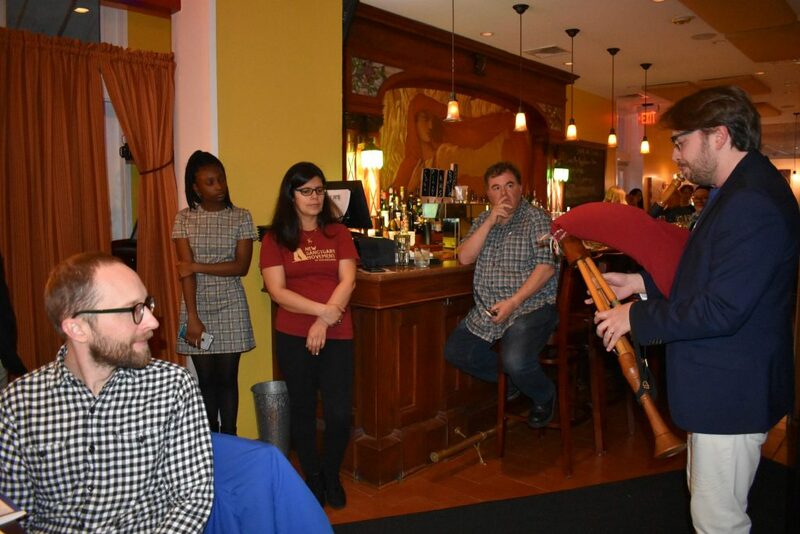 Set to the live sounds of Italian bagpipes, the full house of foodies enjoyed their Taccozzelle alla pescolana and Pecorino agnolotti, as 50 percent of the evening’s proceeds helped the sanctuary families. All earnings from the bread pudding, which was served throughout the month of March, went toward the Thompson family. Resuming its immigrant-advocacy dinners, which sparked a couple of years ago, the East Passyunk restaurant has no intention on stopping its operation both in and out of the kitchen.